Moving Service is a removal company that works in the South Ruislip area of London. By specialising our work to a niche area, we have been able to develop a strong reputation and expertise on a foundation of unbeatable local knowledge and expert removal skills. We cater for existing residents in the area who are moving to HA4, to people coming from further afield to settle in the district. Our specialties lie in office removals and home removals. For office removals, we can move anything from departments to large complexes – just tell us what you need and we will make a plan to present it to you. We are fully insured for all possessions, including specialised equipment so in the extremely unlikely event of a breakages or damage, you will be fully compensated. We help you to pack your items, we provide materials that are ideal for protecting your goods, we load the moving van and take it to the desired destination where we unload and unpack your items. 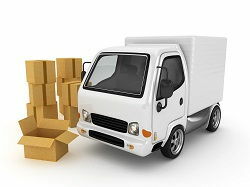 The same process is used for home removals. Any large or bulky items we carry out of your house, avoiding you the hassle of trying to get sofas down lifts, tables through small doors or a piano down a flight of stairs. Our trained movers in South Ruislip, HA4 will take care of that. To find out more and book a free consultation, call us on 020 8746 4402 and talk to one of our removal consultants today. 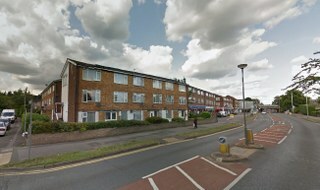 Located in postcode district HA4, it is an area of west London in the London Borough of Hillingdon. The area has plenty going for it, making it a popular choice to live in as seen in the increasing population of the area. The district has plenty of local schools and is well served by local amenities such as coffee houses, shops, grocery stores and several banks. A distinct advantage of the area is the accessibility of transport links. There is the local nearby South Ruislip station that is served by the Central line of the London Underground, as well as Chiltern Railways that serve the area with hourly trains to key points in London. There are also regular bus routes in and around the area, making good connections to the rest of the city. The Royal Air force is located in the area, which links to the memorials around the district in connection to those lives lost during the Second World War. A noticeable memorial is the Polish War Memorial next to the A40. The area is peaceful and quaint, giving a homely and quiet atmosphere to it making it popular with a broad diversity of people from varying ages and backgrounds. Besides our local knowledge and years of experience, we provide flexible options for you that give you exactly what you need. Our staff is selected for their removal experience and knowledge in order to maintain the high levels of customer service that we are so well known for, and all employees attend regular training to continuously improve efficiency and safety. Our van and man service in South Ruislip, HA4 uses only modern and regular maintained removals so that there is almost no chance of any breakdowns and consequent delays in delivering your items. When we make a promise, we stick to it and our aim is always to deliver to high standards. Moving Service is here to provide all your removals in HA4 area so to find out more about how we can help you, call us on 020 8746 4402 to speak to our expert team today. Friendly and warm hearted guys, great movers. They did a good job despite the horrid weather, we really felt sorry for them! Nonetheless, they got us to South Ruislip HA4 which was important.